Tales wishes president George W. Bush, on this 6th of July, a very Happy 68th Birthday and many, many more. 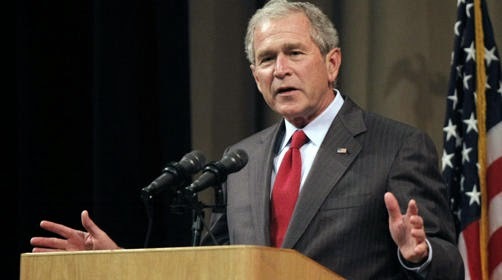 Some people didn't like many of his policies as president but no one can deny that President George W. Bush is a decent man, a presidential acting man, and a good man who did what he thought was best for the United States of America, and for the security of the United States of America in order to protect the American people. God Bless you, President Bush. I can't speak for others President George W. Bush, but I can say there is one person who misses you in the oval office.